We know what you want…you want one suppressor that is light weight, cheap, and is capable of handling 20mm down to 22LR. You want one suppressor that does it all. Well, we invented that but won’t release it until 2032. So in the mean time, we have the Trilogy. The Trilogy is a one stop package to cover everything from 300WM to 22LR. 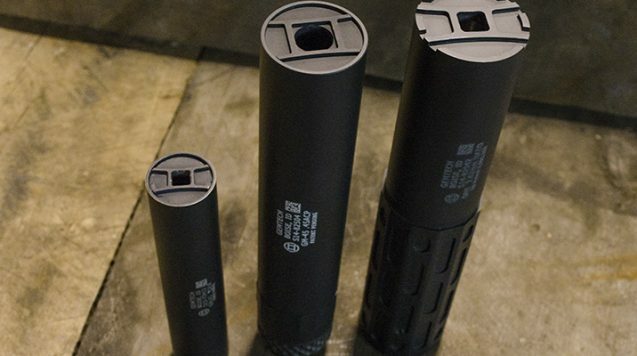 Three GEMTECH suppressors for your rifle, pistol, and rimfire. The ONE is the do-all center fire rifle suppressor. It is a Quickmount or thread mount, it is light weight, and it is strong. The GM-45 is what every pistol/ SMG suppressor wants to be. It is highly adaptable to different thread pitches and calibers and is completely user serviceable. Your rimfire weapons are covered with the GM-22. This G-Core suppressor is easy to clean and is rated for 22LR full auto! The Trilogy covers it all and is a great way to suppresses all the guns in your arsenal. This is the ONE suppressor to go to for any application you could want. GEMTECH has answered customer demand with our newest addition to our Extreme Duty line. With caliber ratings from short 5.56 full-auto to 300WM, it’s the only rifle suppressor you’ll ever need. Made of Titanium and Inconel, not only does it perform to SOCOM standards, but it won’t weigh down your overall set-up. GEMTECH’s new GM-45 suppressor utilizes our patented G-Core technology. The G-Core design is exceptionally user friendly and allows the user to clean the entire unit. The GM-45 is shipped with the standard .578-28 piston with other several options available. 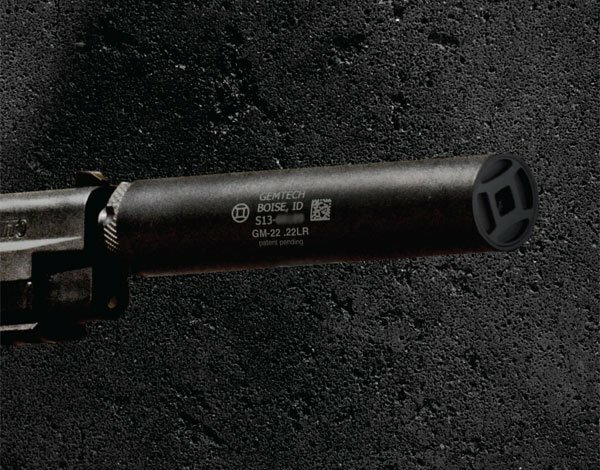 The new GM-22 comes from over two decades of silencer innovation and research. The unique G-Core design enables the user to easily maintain their silencer while still providing the best noise reduction in the industry.